There has been no looking back, ever since Hyderabad based Suhani Pittie, established her own gemology training institute at the young age of just nineteen. The Jewellery designer in her seems to have naturally evolved over the years and bloomed to make a mark. 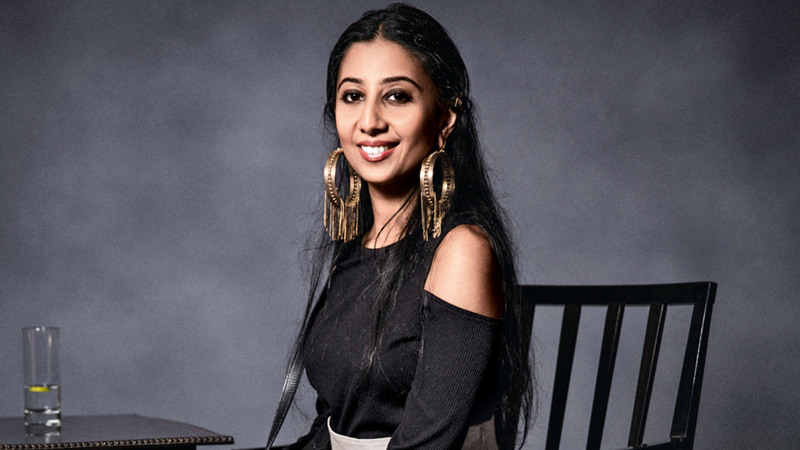 On date Suhani Pittie is not only one of the famous and best jewellery designer in India, as adjudged by N4M survey, but has been earning laurels across continents too. N4M Media spoke to Jewellery designer Suhani Pittie who pours her heart out on her travails, from the start with a meagre capital of Rs 5000 to the launch of her men’s line on Amir Khan in Dangal. Working 15-16 hours, through the week! No wonder Suhani’s firm belief “Excellence is not an occurrence, its a habit” stands proven. N4M Media: Now may I ask you that when you look back, as a celebrity owner of famous “SuhaniPittie” stores, whom do you think inspired you to begin with and pursue your dream ofbecoming a Jewellery Designer. N4M Media: Did you have any formal training in jewelry design and creation? N4M Media: What was the first piece of jewelry you ever made and where was it? N4M Media: How have your designs evolved over time. Have they really changed? N4M Media: Which year did you launch your own company? How much was the initial capital and how did you arrange it. Suhani Pittie: 2004 i started work with under 5000 Rs , a box of rose quartz and chalcedonies and a 8×8 inch piece of silver. That was my capital-my raw material.Thepvt ltd company was initiated in 2005. N4M Media: Did you ever imagine that celebrities like Amir Khan would be wearing your jewellery? Suhani Pittie: I focus on doing great quality work and building a remarkable company. The rest is all organic and hence i have never given it a thought. N4M Media: Our audience would love to know about your design process—like choosing materials, design development, how you or your team works to do this, etc. Take us through your “typical” day at work. Suhani Pittie: I start work at 10 sharp and wind up at 9.30pm in the office after which i get home and work on next days production and business to-do’s.Im also the CEO of the company so Im continuously participating in board meetings and internal meetings with different departments. My work day is usually 15-16 hrsmon-sat and 8 hrs on sunday. N4M Media: Do you design your jewellery for only the elite or do you keep your jewelry on the more modest and affordable end? Suhani Pittie: Our goal is to make beautiful pieces which are not too heavy on the pocket. And it is certainly for everybody. The enigmatic Indian woman is my inspiration. N4M Media: If you could see any woman wearing your beautiful designs, who would it be? Suhani Pittie: Everybody! We have 10 different collections running at any given point of time. That means ten different moods. our target audience is everyone! N4M Media: In today’s times when men spend more on grooming, Do you design for menfolk too? Suhani Pittie: Yes absolutely. Infact our men’s line was launched on Aamir Khan in Dangal.His team reached out to us. I think men are more conscious and particular.Not a thread can be out of place. I love that challenge. N4M Media: How does being born and brought up in India influence your design style? N4M Media: What is your one career highlight thus far that you might like to share? N4M Media: What is the most important lesson you’ve learned as an entrepreneur? Suhani Pittie: Excellence is not an occurrence.Its a habit. Be at it everyday. Make your own roads. Follow your instincts. No guts, no glory. Be sensitive, be humble but never stop. Don’t waste time. It doesn’t wait for anyone. Next articleHigh Court Acquits Mahmood Farooqui Of ‘Peepli Live’ Fame – But Is The Justice Served?